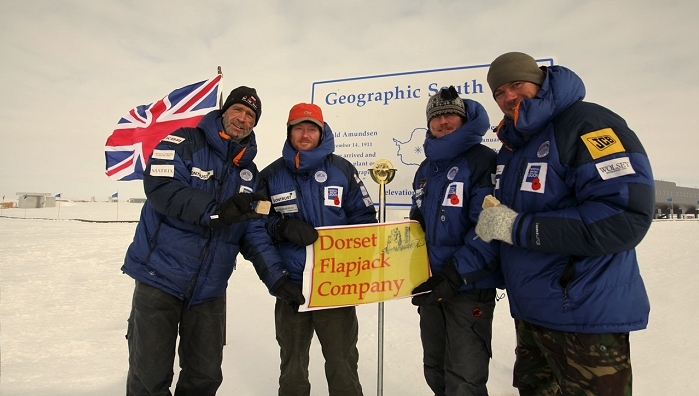 We supplied Dorset Flapjacks to Henry and his team when they re-enacted the centenary of the Race to the South Pole between Amundsen and Scott in 2011. (See the blog further below). I met him a couple of times at events in London and Henry very generously offered to come to meet our staff in our bakery, but we decided that it would be better if he could give a talk at our Local British Legion so that we could raise more funds for his cause being the Battle Back Centre for the rehabilitation of injured services personnel. I invited him to have dinner with the family before hand and after a quick tour of the bakery we sat down to our meal. Henry regaled us with stories of the Antarctic yet showed a genuine interest in our family and our business. It would not be possible to have had a more enchanting guest at the dinner table. 80 people filled our British Legion and as Henry started to speak there was a mood of anticipation. 2 hours later there was a spellbound and excited silence as he retold the epic story of Amundsen and Scott’s two different attempts to reach the South Pole first. He wove his personal experiences and photographs into the stories and his love of the white continent was plain for all to see. Although we all knew the end of the stories we were gripped in the telling and there was a sad finish as we got to the death of Oates, Scott and the remaining team. It was in a later discussion I realised that his true hero was Shackleton who could have been first to the South Pole but turned back to save his men from a certain death despite being so close to the glory. The crowd did not want him to stop and Henry answered questions from the floor for at least an hour. It was a night that everyone who was there will remember very fondly. A couple of weeks later he was back ‘at work’ in Afghanistan. His is a great loss to mankind but from that one evening with him I get the feeling that his fascination for exploring and the Antarctic was such that he at least died doing something that he truly loved to do. Two days ago we had an email from Joep Susken in Netherlands, he had an unusual request. Could we send him some Dorset Flapjacks to a hotel in Wales? 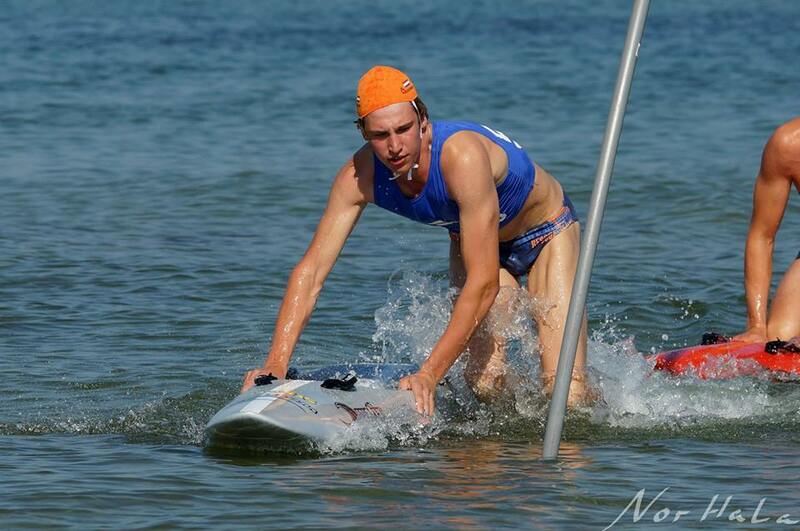 It became clearer when he said that he is a Surf Lifesaver and that the The European Championships of Lifesaving were about to take place at the Wales National Pool in Swansea and on Aberavon Beach. We made his order for him and sent it off today. I remember watching some Surf Lifesaving events in Australia and these guys really have to be fit and strong to be good at it. Let’s hope that the Dorset Flapjacks give you the energy that you and your colleagues need to perform to your best. Good luck! The Dorset Flapjack Company are very pleased to be able to support the Weldmar Hospicecare Trust at their 9th Midnight Walk fund raising event. Everyone who takes part will get a Dorset Flapjack in their Goody Bag! There are three different distances 5 miles, 6.5 miles and 10 miles. 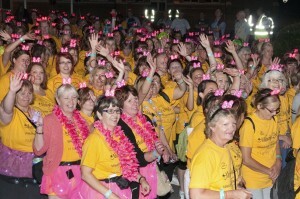 See their webpage http://www.weld-hospice.org.uk/fundraisin g/midnight-walk/midnight-walk for more details. Weldmar Hospicecare Trust is an independent charity working in Dorset. All its services are provided free of charge. 75% of the funds are raised locally; the rest is given by the NHS. This is the only agency providing specialist palliative care in north, south and west Dorset and they do a fantastic job. The Dorset Flapjack Company was at the Challenge Weymouth Expo from 12th September to 14th September 2014. We had a really great time out in the sunshine and it was fantastic to meet so many Dorset Flapjack fans and to talk to so many dedicated athletes about their nutritional needs during such an event. We can’t wait to do it all again next year when it will also be the European Championship and it will be even bigger and better! 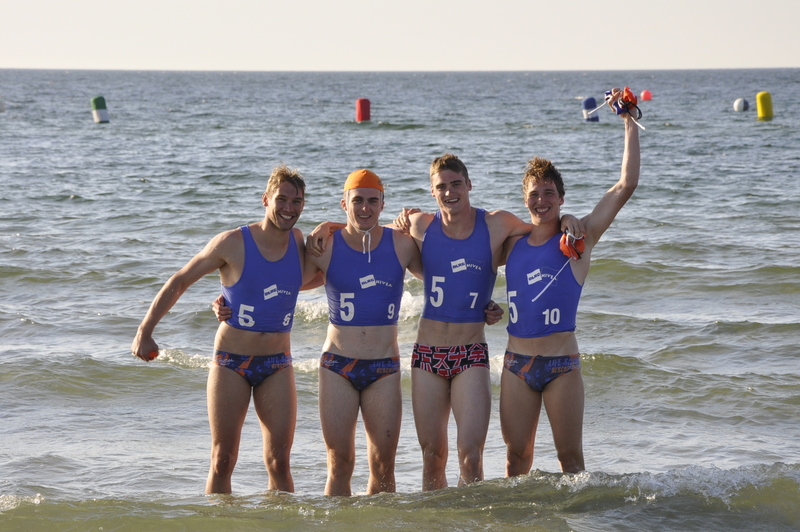 This challenging endurance race took place on 14th September 2014, starting with a 3.8km open water sea swim in the clear blue waters of Weymouth Bay. The rolling 180km bike course weaves through stunning local countryside offering competitors a fast and smooth cycling event, taking in the beautiful surrounding terrain. The 42.2km run then leads through the town, which was bustling with support from family, friends and loved ones, making for a very spectator-friendly end to a gruelling ironman triathlon. 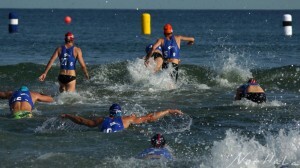 It was a great weekend for participants and spectators and brought a lot of life to the seaside town for the weekend. Many thanks to Julie and Vickie from Studland Stampede for their great help. 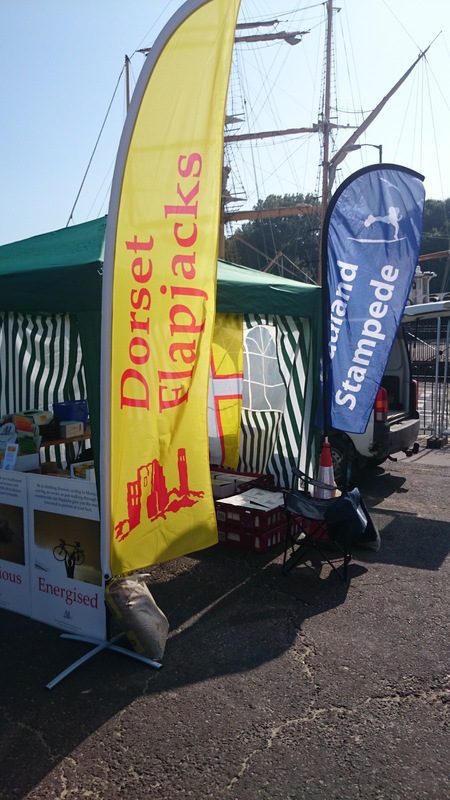 This year’s Studland Stampede will take place on Sunday 11th October and The Dorset Flapjack Company are again providing Dorset Flapjacks for the Goody Bags. The Studland Stampede has a great reputation for its Goody Bags and we hope that it has something to do with the Dorset Flapjacks! Congratulations to Julie and Vickie for organising such a great event that just seems to get better every year! Stop Press: This year’s Stampede is now fully booked. They will be releasing a small number of additional places in September so check out their website if you still want to be included. Dorset Flapjacks in the South Pole! In January 2012 two teams of intrepid polar explorers arrived at the South Pole having just recreated the amazing trips of the first ever people to arrive at the frozen South Pole, Roald Amundsen and Capt Scott. Slog On or Scramble Up? Amundsen’s route to the Pole crossed the Ross Ice Shelf and then ascended the short, but punishingly steep and dangerous Axel Heiberg glacier. Scott’s route crossed the same shelf but then takes the longer, shallower Beardmore glacier. For both teams, glacier crossings punctuated by hidden crevasses up to a mile deep, were perilous in the extreme. Each team was completely unsupported, and carried their food and fuel across the ice for seventy days. It was a very closely-run race. From Cycling to endurance Triathlons, from arduous expeditions to Rowing, from Climbing to Golf, most sports and activities require determination, skill and energy. While our Dorset Flapjacks won’t give you determination or the skill to be great at your sport they will give you the energy required to take part or compete at your highest. This is why we have also decided to sell boxes of our 120g flapjacks straight to the customer. So you can get stocked up on what is to undoubtedly become your favourite energy bar. Most energy drinks and bars don’t taste all that great and are often designed to solely energise. However Dorset Flapjacks are not only a really great source of energy but are a great snack. They taste great, they look great and do the job better than most other products on the market. So how can you loose? Why not try them and see if you don’t agree. Energy food doesn’t have to be boring, tasteless and unappealing. With Dorset Flapjacks it won’t be. The Oxford University Caving Club (OUCC) has been exploring the caves of the Picos de Europa in Northern Spain for 48 years. They have set records and discovered a number of new caves. This recent expedition was especially exciting due to the very real possibility of a passage joining two known caves. ‘The people involved are all experienced climbers and the trip is going to be a challenging, exciting and rewarding one’. The Dorset Flapjack Company was proud to be part of this exploration. The team took some Dorset Flapjacks as a source of energy while in the caves as the work they were doing was very strenuous and tiring. Welcome to our new Blog and launch of our new website www.dorsetflapjacks.co.uk where you can buy our famous Dorset Flapjacks.